Cut paper into strips and have fun with this simple, mess free project. 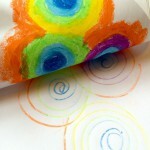 Decorate with felt pens and experiment with mark making, shapes and patterns. 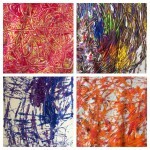 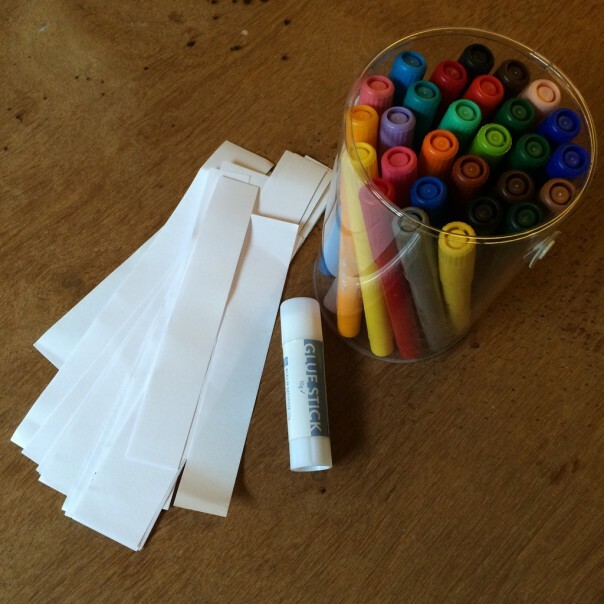 Paper strips, felt pens and glue stick. 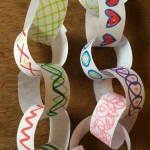 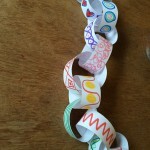 Draw patterns and pictures on the strips and glue together to make a chain. Decorate the house or Christmas tree with your colourful paper chains.